There are still a fair number of businesses out there that see social media as a fad – like Deely Boppers or Cabbage Patch dolls. All this talk about two way dialogues and customer control of the conversation will fade – people will get bored and things will go back to business as usual. Part of this is down to inability to change quickly – a multi-billion pound business makes a supertanker look agile, so even a minor course correction can take years to be felt. But what they are missing out on is the opportunity to really transform themselves. Rather than the traditional top down model of producing what you think people want and then marketing the hell out of it, social media gives the ability to make real connections with your customers. Speaking at CamCreative last night, Eric Swain outlined why companies need to move from social CRM to social business. Using the actionable insights that social media conversations provide increases trust, creates lasting connections and, for the bean counters, pushes sales up. Eric quoted Umair Haque, the author of The New Capitalist Manifesto, on the potential to create social businesses based on a much more democratic, balanced relationship. Less value propositions, more value conversations. I’m dubious that big business can do this – a lot of current social media marketing simply uses it as another channel to shout about how great they/their products are. But given social media’s ever-growing global power, big businesses need to act now to ensure they are still relevant in ten years’ time. 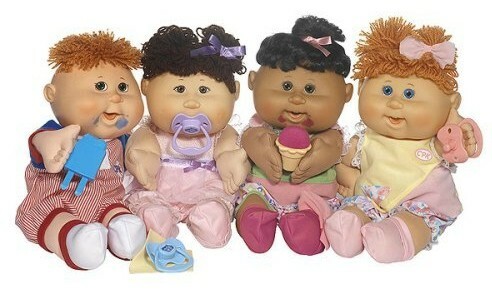 Or risk joining Cabbage Patch Dolls on the scrapheap of history.